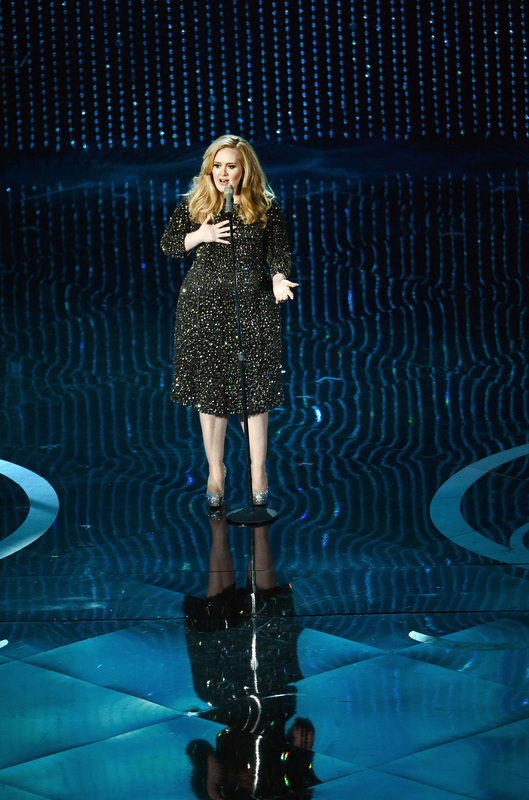 The moment is finally upon us — Adele's new single and music video "Hello" has been unleashed on the world. The gorgeous scenery, combined with Adele's quavering, sultry voice, makes "Hello" a seriously incredible experience. It's the kind of song we'll probably all be playing daily, or perhaps even more frequently, from now until the full album 25 drops on November 20. I'm envisioning spending the next few weeks staring longingly at the track list while Adele croons "Hello, it's me / I was wondering after all these years / If you'd like to meet me to go over everything" in my ear. But in order to fulfill this wish, I've got to stream the song — Where can I stream Adele's new track "Hello"? The video and single are available on YouTube now, in case you want the full visual experience. (Highly recommended.) But if still want to go the streaming route, the song IS available on Spotify, and you can check it out here (or stream it below). You can also pre-order the album on iTunes, Amazon, or Google Play. The song is just the first of a reported 11-track album, so there's plenty more to come. In short, don't worry about overdosing on "Hello" too soon — in just under a month, 10 more tracks will be heading your way. In the meantime, take a listen of the new track, available now on YouTube. In case you haven't been keeping up, this album has been a really, really long time coming. The previous album, 21, debuted in 2011, but then Adele and her boyfriend had a child, and her music seems to have gone on hold. The follow-up 25 was expected last year — when Adele was 25 — but the release got pushed back again. It's still called 25 even though the singer is now 26, so perhaps it's more of a retrospective examination of where she's been for the past four years than it is an indicator of where she is now. At least, the gorgeous "Hello" candidly discusses revisiting a relationship even after it seems to have been done and buried. "Hello" is, in and of itself, a wonderful achievement. And it proves that Adele has been working hard these past four years to get 25 out into the world. If "Hello" is a hint of what's coming next month, then it seems like it was worth the wait. November 20, my body is ready.